Rose was only a teen when he made his way to fame as the Native “Indian” dancer and singer in the 1970s New York City gay clubs and discos. His inspiration for dance and music was inspired by the heritage of his parents and his ancestry of Taino and Lakota. In the 1940s and 1950s Rose’s mother had been a dancer for the Copacabana. His father, a Lakota Sioux, found himself in New York with other Indians seeking work in construction in the 1950s. Rose married together his rich heritage, along with born talent, to create his own music and dance style. Jacque Morali, a French producer, took notice of the talented teen. At 19 years of age Rose helped to form the well-known group Village People. Rose’s crafty appearance, seen to delight disco’s gay followers, inspired Morali and Henri Belolo to create the group. Named for New York City’s Greenwich Village, the Village People became known for their costumed figures as much as their iconic hits. With the vibrancy of Rose, and the others who formed the group, the Village People quickly made their way out of the Village’s gays clubs and into the mainstream. They became international stars with disco dance hits. In the U.S. “Macho Man, “In the Navy”, and “Y.M.C.A.” made the group a prominent piece of culture’s pop music and disco history. 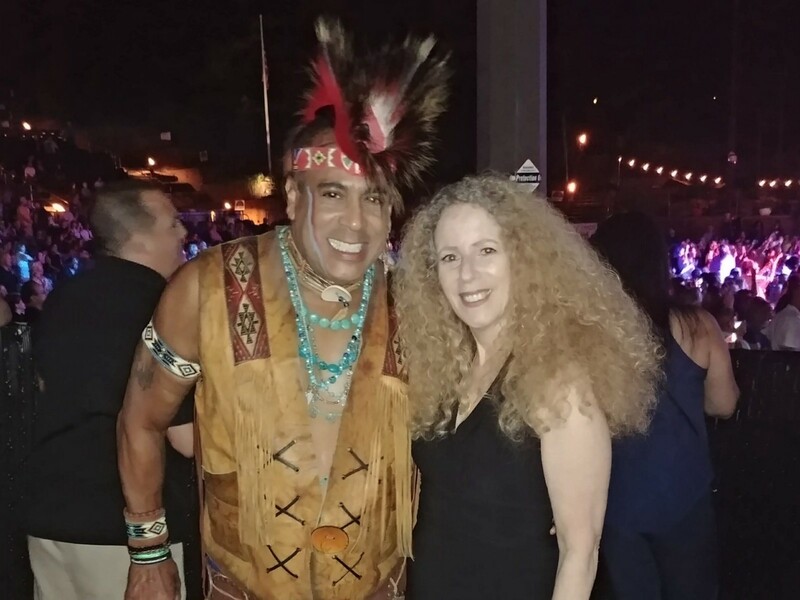 As he continued to perform with Village People Rose set his sights on songwriting and talent development — forming Tomahawk Group and Tomahawk Records in 1996. With Tomahawk finding success, Rose collaborated with his longtime composer and arranger Forrest “Frosty” Lawson in launching a solo career in 2001. His first extended play record, “Trail of Tears,” told the story of the Cherokee Nation’s forced removal. The song guided Rose to create his hybrid Native dance composition called Disco Fever/Burning up the Rez. Rose’s creation was given accolades of reviews and nominated for three Native American Music Awards (NAMA) in 2002. “Trail of Tears” took home the honors for Best Historical Recording. In 2003 The NAMA winner released “We’re Still Here.” Rose again was nominated for another NAMA in which he won for Single Song of the Year. The release of “Red Hawk Woman” in 2005 is Rose’s tribute to the late Virginia Indian activist Thomasina E. Jordan. Rose took a break from his recording to once again go on the road with Village People. They toured the world performing throughout Europe, South East Asia, and Australia. Forty years later “Y.M.C.A.” continues to be loved by all generations scoring the seventh position on VH1’s list of “The 100 Greatest Dance Songs of the 20th Century.” Rose proudly showcases the song that inspires the audience to participate in the dance using arms to spell out the song’s lettered title. Alone “Y.M.C.A.” sold over a million copies each in Germany and United Kingdom. In the U.K., it was the number one song for three weeks in 1979. In 1993 the song became a renewed U.K. hit when a remix ranked it number 12. Rose, with Village People, continue to sell their hits — having sold over 100 million records. The music has reaped much acclaim — including international music awards and over 30 Platinum and Gold records. In 2005, in the rotunda of the National Museum of the American Indian (NMAI), Rose donated his gold single of “Y.M.C.A.” in front of an international audience. In September 2008 Rose with the Village People marked their 30th anniversary with the accomplishment of receiving a Star on the Hollywood Walk of Fame. The next month Rose got his own personal high achievement of being inducted into the Native American Music Association (NAMA) Hall of Fame. Upon introduction, Rose is a joy to be in the presence of. His enthusiasm for living is showcased in his smile and how he treats his fellow-beings on the Earth. Rose is difficult to catch as he runs off stage to say hi and thank you personally to adoring fans. His followers cheer as he is once again nominated in 2018 for two NAMA awards. It is evident that this man lives up to his mantra, “Be the chief of your tribe,” as he exudes confidence and kindness. Carol Ruth Weber: What has kept you going all these years? Felipe Rose: My passion for what I love to do — my music and the arts in general. I grew up with that in my home. CRW: Who, besides your parents, inspired you to perform? FR: When I saw the Beatles, and then I saw Michael Jackson with the Jackson 5, they had a big impact. CRW: How have you separated yourself from Village People and do you miss the group? FR: I separated myself by just going solo after the legal disaster that went on last year because, in the final analysis, the group that I was with for 38 years ended up with a new name — Kings of Disco Former Members of the Village People. After all the sacrifices that I put upon myself and my life replacing three [policeman] lead singers, three construction workers, three cowboys and two bikers I was not about to call myself a former member especially since I was one of the cofounders. My artistic expression today as a solo artist is very freeing. I do not have to compromise like I did for 40 years. I released my single that was a clap back song, “Going Back to my Roots,” which I dedicated to my fan base. I could work through with some dignity. The song has been nominated for two NAMA awards — Best Single of the Year and Best Dance Song. CRW: What was your personal favorite Village People song? CRW: With humankind as your tribe — what teachings do you have that you want to leave behind as your legacy? FR: That I just pretty much took my zest for life and just never having any regrets over anything. As I posted on my Facebook page — Never having any regret because it was never my thing - because no matter how I feel I get up, dress up, and show up, and never give up. CRW: It is evident that integrity is an important component of your life — is this what keeps you going even through diversity? FR: Yes — my integrity and loyalty, and being truthful is everything. I know what my lenses are and shoot from my hip. I do not have Rose colored lenses — my lenses are how I see life and I am very realistic. CRW: Up for two awards this year — What do the NAMA awards represent for you? 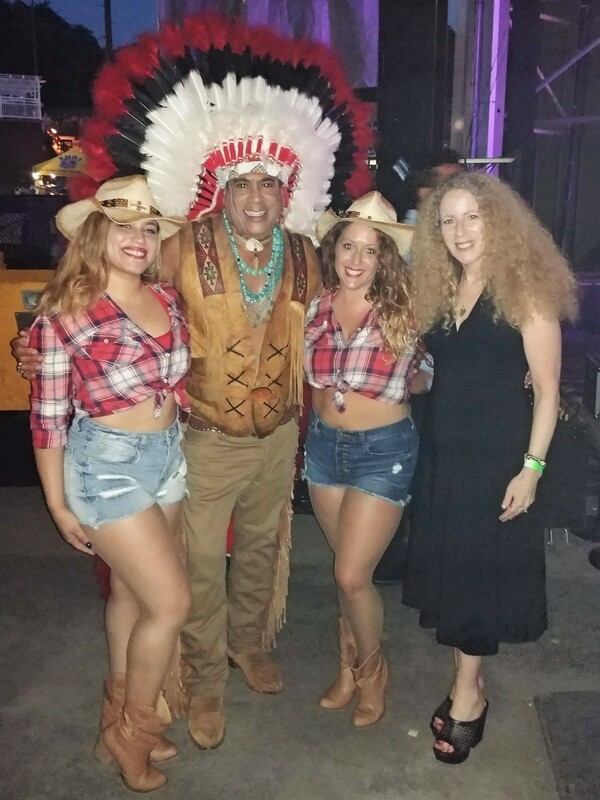 FR: NAMA represents to me indigenous artists with Native American roots that are expressing themselves through traditional music, that is not part of mainstream radio and TV, that now lends itself to popular music — jazz, rock, blues, pop, and dance. I feel that I with my legacy with Village People I am adding to the importance of what the NAMMYs is all about. I feel I have come full circle after collaborating with these other Native artists that are award-winning who have been waiting for years to work with me. CRW: With so many passions what is next for you — such as acting, cooking, speaking engagements? FR: I want to venture into television and film. That is the next horizon. I like to walk into new things with open eyes. Rose not only looks vibrant he also stays relevant as he gives back to the world with his passion and devotion to life. As he continues to perform, the talented Rose also tours the country as a motivational speaker. His dedication to his heritage is apparent in his capacity as host and interviewer on the Red Carpet for the NAMA awards. Rose is also an ordained minister with the Universal Church of Life. Not only is Rose talented when it comes to music and dance, but he also celebrates the worlds of culinary and visual arts. He uses his prominent position in music to aid people and communities. His objective is to emphasize relevant issues with the use of social media to connect people around the globe. Rose stands up proudly in support of many causes including: Out for Life, LGBT community Issues, cancer awareness, anti-bullying, Wounded Warriors, Food Bank of Monmouth County, Toys for Tots, reading in public schools, World Aids Day, American Indian College Fund, National Voting Academy of Screen Actors Guild and Aftra, animal rights, and ecological issues.